Jeremy investigates tales of the legendary Loch Ness monster. 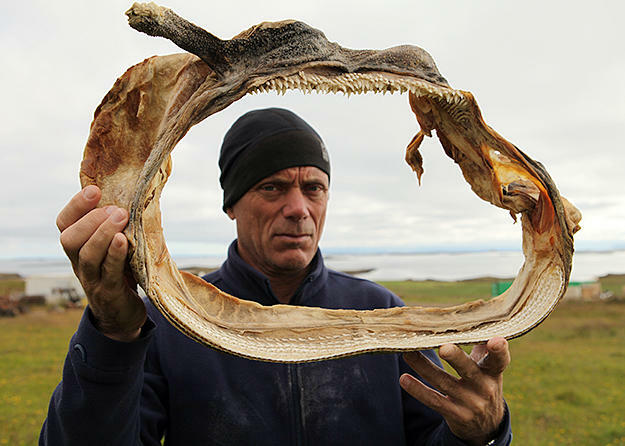 Jeremy Wade is a biologist, extreme angler and writer specializing in travel and natural history. He is best known for using fishing as a means to look beneath the surface of human life in remote places, notably the Congo and the Amazon. Having grown up in rural Suffolk in the United Kingdom, he studied zoology at Bristol University and went on to teach biology at a grammar school in Kent. Wade started fishing on the Suffolk Stour and went on to fish stillwaters for carp and catfish. At 16, he was the youngest member of the British Carp Study Group. In his early twenties, however, he hung up his rods, an antisocial response to overcrowded British lakes. Then in 1982, inspired by a magazine article about fishing for mahseer, he went to India. Since then he has made expeditions to Southeast Asia, Zaire (now Democratic Republic of Congo), the People's Republic of Congo (now Republic of ...), India (again) and the Amazon. During these journeys he caught malaria, was arrested for spying, narrowly escaped drowning and survived a plane crash. In between, he has worked as a tour leader, motorcycle dispatch rider, supply teacher, art tutor, translator (Portuguese-English), public relations consultant, dishwasher and newspaper reporter. For a while he was senior copywriter at an advertising agency until the excitement became too much. In 1992 he published Somewhere Down the Crazy River (written with Paul Boote). This recounts the rediscovery of the Indian mahseer and the goliath tigerfish of the Congo and is considered to be one of the classics of angling literature. But his knack for finding rare creatures isn't limited to fish. In 1994, scientists were mystified by an animal he photographed in an Amazon lake. Sent out by the BBC Natural History Unit the following year, he succeeded in filming it after a five-week stakeout. Since then he has pursued another Amazon myth — the giant arapaima — the subject of his 2002 British television series, JUNGLE HOOKS. His 2006 series JUNGLE HOOKS: INDIA also features an underwater creature not seen before on television. See videos of Jeremy Wade in action.